Hey bro, Alex here. 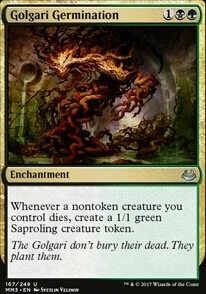 Would you mind looking over tthe golgari tokens deck i made? 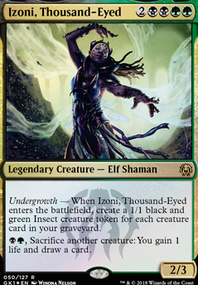 Looking for a spot for a spot for Arachnogenesis and maybe Golgari Germination . Could you help me out? Also if you have free time, feel free to look at my new deck I made (Sidisi, Resourceful thinking). THanks man! 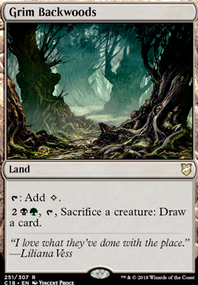 Phyrexian Altar would be great here, and infinite with Bloodbond March. 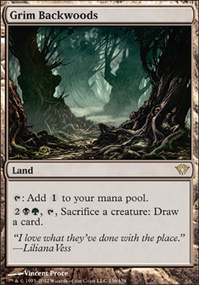 Just add a Zulaport Cutthroat or Blood Artist or Golgari Germination. Infinity. babydaggers thanks for the suggestions. I love Fecundity and use it in Rhys's disgruntled forest. with great effect. However, in this deck, I may mill myself to death rather quickly. 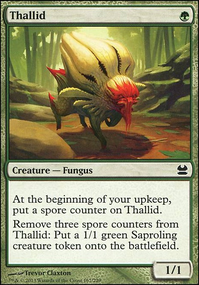 Feed the Pack, Golgari Germination, Greater Good, and Gutter Grime all specify non-token creatures and those are my main sacrifices. 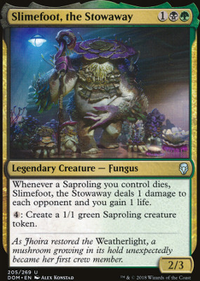 Savra, Queen of the Golgari on the other hand is a great card for this deck, unfortunately, I had her in this deck when i originally built it but had to take her out to make room for Jarad, Golgari Lich Lord who is a win condition.